OSAKA — The Osaka District Court on Wednesday sentenced the former president of collapsed English language school operator Nova, who went on trial facing charges of embezzling money from an employees’ fund, to three years, six months behind bars. Handed the sentence was former company president Nozomu Sahashi, 57. According to the ruling, Sahashi transferred 320 million yen from the savings account of a mutual aid organization of Nova employees into a separate account. He then exchanged the amount for a check and deposited the money into the account of related company Nova Kikaku, thereby embezzling the funds, the ruling said. During his trial Sahashi had admitted to the facts of the case, but said he had not been under the perception that he was forbidden from using the money. Lawyers for Sahashi argued that he was innocent, saying that he had no intention of illegally misappropriating the money, and that his actions did not constitute professional embezzlement. On Aug. 19, Nova’s bankruptcy administrator filed a lawsuit in the Osaka District Court seeking about 2.136 billion yen in damages, saying that Sahashi repeatedly made unnecessary transactions, resulting in losses. It also filed a criminal complaint against Sahashi with the Osaka District Public Prosecutors Office, accusing him of aggravated breach of trust. Sahashi founded Nova’s predecessor, Nova Kikaku, in 1981. At one time the company operated about 1,000 schools across Japan, but its business performance worsened due to trouble relating to terminated contracts, and the company collapsed in October 2007. Some 300,000 students were unable to receive back money for lessons that they had paid in advance. 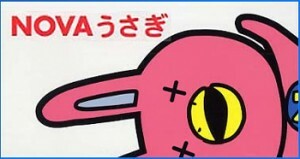 Altogether, Nova’s debts reached about 86 billion yen. Sahashi was arrested in June last year. He was released after paying bail of 50 million yen the following month.